He replaces Brett Skinner, who managed operations at Cooinda for over three years. Benjamin spent nearly two years at Cooinda Lodge in the late 2000s, where he not only gained considerable experience of working in the Top End, he met his wife Erin, who was also working at Cooinda Lodge at the time. The couple have returned to Kakadu with their two infant children, Olivia and Henry. In the decade following his first stint at Cooinda, Benjamin has worked in Queensland and NSW for Oaks Hotels and the Mantra Group, most recently as Area Front Office Manager and Relief General Manager for Mantra’s three hotels at Kingscliff on the northern NSW coast. 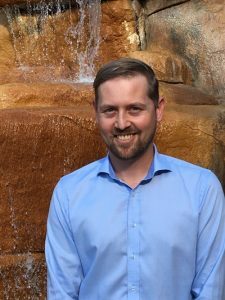 As General Manager of Cooinda Lodge, Benjamin is responsible for one of Kakadu’s most established accommodation and tourism operations. 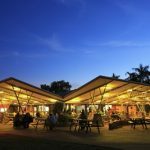 In addition to the Lodge accommodation, Cooinda offers extensive campground facilities, the internationally-renowned Yellow Water Cruises, Yellow Water Fishing, Spirit of Kakadu Adventure Tours and the pioneering Warradjan Cultural Centre. Fully Indigenous-owned, Cooinda Lodge is part of the Kakadu Tourism group and is managed by Accor Hotels, the largest hotel group in Australia. “It is really fantastic to be back in Kakadu, and even better to share the experience with my wife Erin and our two young children” said Benjamin. “Kakadu will be very much in the spotlight in the year ahead, with Kakadu National Park celebrating its 40th anniversary in April, and with Kakadu being featured on the big screen in the high-profile film, Top End Wedding. “We have one of the world’s most remarkable landscapes and cultures to share with international and domestic visitors, and I’m looking forward to working with our partners to promote the region and deliver a memorable visitor experience.